With the announcement this week that the UK will be holding the Family Planning Summit later this year, the Health Theme in Itad has been thinking about what evaluation means to them in the family planning arena. Sexual and reproductive health (SRH), particularly family planning, is very close to our hearts. As highlighted in our 60-second interview, before we joined Itad many of us were involved in this area, coming from Marie Stopes International, Population Services International and UNFPA. We’ve been thinking about how vital evaluation is to meeting the Family Planning 2020 (FP2020) goals and two things struck us as being key. For initiatives like FP2020, and when convincing decision makers to invest in contraceptives, counting the numbers is critical. We want to know what the unmet need is, how many additional women and girls are using modern contraception, how many unintended pregnancies were prevented, how many women’s and girls’ lives were saved from maternal death … the list goes on! FP2020 has focused minds on analysis of available data and its quality, and to think about how annual estimates can be reached. Innovative mechanisms, such as the use of smartphones and the facilitation of country-level data consensus workshops, are being used so that the world has an annual snapshot of whether FP2020 is on track to meet its targets. 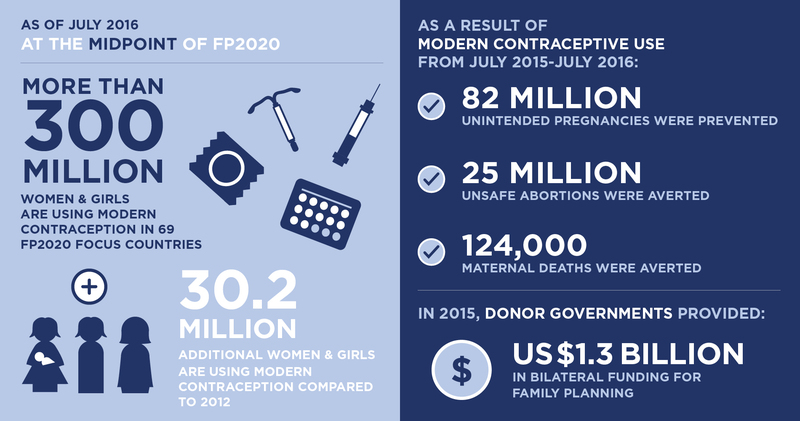 Since the launch of FP2020 in 2012, there are 30.2 million additional users of contraception. This is huge progress but is 19.2 million fewer than required to be on track to reach the target of 120 million additional users by 2020. This data is a powerful advocacy, policy, programming and budgetary tool and will no doubt, feature heavily in the upcoming Summit. It empowers civil society to increase public awareness and lobby for accountability and increased funding. Thanks to visualisation tools, such as infographics, it allows the media and public to engage in what can be a complex topic. Data enables governments to plan budgets better, it enables academia and research institutions to dig deeper, and it enables donors to invest in a more targeted way. Looking beyond the hard numbers, evaluation enables us to establish if and how interventions are reaching the hardest to reach. Accessing vulnerable populations, particularly adolescent girls, is fundamental to achieving the FP2020 goals. New and innovative approaches to reaching adolescent girls and young women are an important feature of family planning programmes right now. To scale these up (and have the confidence to invest scarce resources), the family planning community needs to know if, why and how they work. This leads us to look beyond the numbers to seek to understand the complexity of human behaviour in widely different contexts. And to do so in a way which informs public health policies and programmes in a practical way. Itad is evaluating novel approaches to increase contraceptive uptake amongst adolescent girls, such as the Adolescents 360 (A360) programme in Ethiopia, Nigeria and Tanzania. 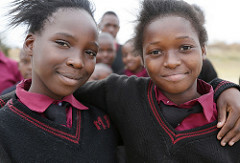 A360 adopts a multi-disciplinary approach to sexual and reproductive health programming for adolescents, drawing on the disciplines of Human Centred Design (HCD), public health, social marketing, youth engagement, socio-cultural anthropology and developmental neuroscience to increase the uptake of modern contraceptives amongst girls aged 15 – 19. As well as evaluating the impact and cost of the programme, we are evaluating the approach itself. While it is too early for findings, the evaluation offers the opportunity to test how this innovative approach delivers interventions across the three countries. By speaking with adolescent girls and the communities they live in, we will be able to find out why an intervention is or isn’t working, triangulating with data to get the full picture of impact. We will also be able to feedback to the implementing organisation on an ongoing basis to support course correction and adaptive programming. We will share findings as they emerge to ensure that lessons from the programme are widely understood. We’re excited to be a part of the FP2020 journey with the international community and look forward to the Family Planning Summit later this year!